Erik Randolph is an independent researcher who specializes in evaluating government policies, programs, budgets, and legislation, quantitative analysis, and fiscal and economic modelling. 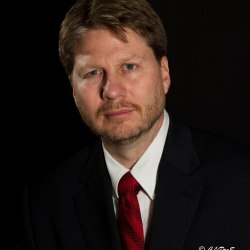 As a consultant, he has provided assistance to organizations, legislators, and governments in four different states in the areas of welfare policy, budgeting, transportation policy, and criminal justice. Erik has twenty-seven years of extensive experience in government and for seventeen years taught principles of economics for the Harrisburg Area Community College. He developed the first microeconomic model to test how welfare benefits influence behavior when he was a special assistant to the Secretary of Public Welfare for the Commonwealth of Pennsylvania, and he led a chartered team at the department to evaluate the problem of economic disincentives. Prior to his service to the department, he spent nineteen years as an analyst for the Committee on Appropriations of the Pennsylvania House of Representatives. While working for the Committee, he evaluated and forecasted costs for legislation, worked on and analyzed state budgets, handled analysis of special fund revenue and capital budgeting, researched and wrote legislation, and conducted special research projects for the chairman. In the early part of his professional career, Erik worked in the field science and technology policy for the U.S. General Accounting Office (since renamed the Governmental Accountability Office), New York State, and the Commonwealth of Pennsylvania. Mr. Randolph has a Master’s Degree from the College of Humanities at Rensselaer Polytechnic Institute in science and technology studies, where he concentrated on the economics and policy of science and technology. He has two Bachelor degrees from the Pennsylvania State University, one majoring in mathematics and the other in political science.